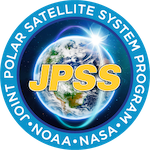 JPSS (short for Joint Polar Satellite System) is a series of high tech satellites that keep an eye on the weather and environment. These satellites circle the Earth from North Pole to South Pole 14 times each day as the planet spins below. 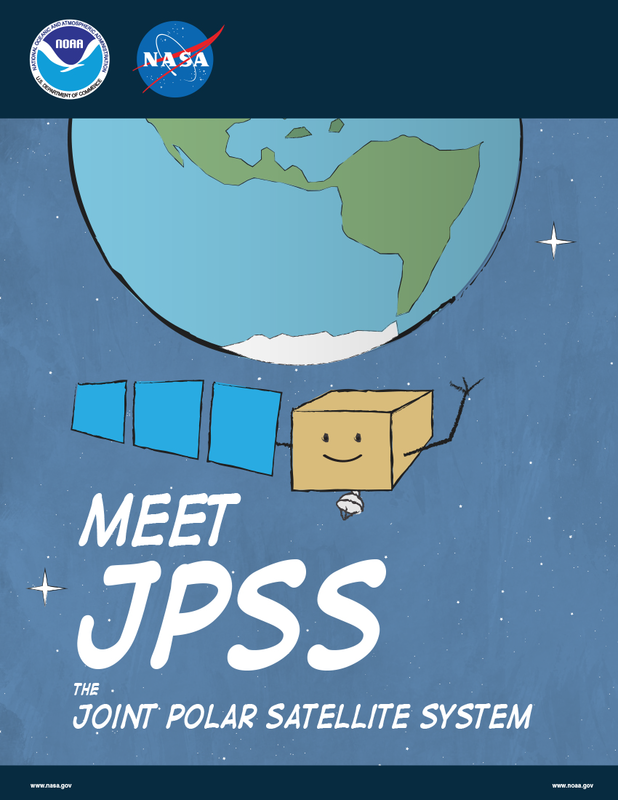 This allows JPSS to see the whole Earth twice every day! Why do satellites have different orbits? 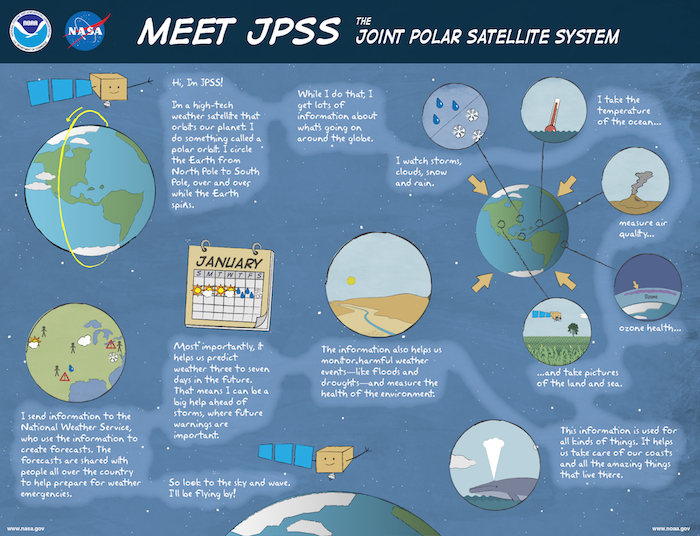 For more detailed information about this satellite system, check out jpss.noaa.gov!